Hey there sweet readers! Today I'm talking about my fave pair of sandals and how you can style them. They are very versatile because you can style them with jeans, with a dress or a skirt or with a more classy pant or long skirt. And the most important thing: they are SO freaking comfortable and fresh and shiny and oh my god, you need to get a pair of these babies. I think they are a must for summer actually because they are pretty, comfy and you can wear them with pretty much everything as I said before. Also they can be heeled or without heels, with platform (as mine) or without it, fact that make them perfect for wearing them during the week with a casual outfit or in the weekends for a more classy look. Mine are from Marypaz, which is a brand who works in Spain, Portugal and France I think, maybe I'm wrong so you can take a look at their website HERE. But there are a lot of websites and stores that are selling this kind of shoes so search for them on some of your local stores or if you prefer, you can take a look at your favorite online shop, like ASOS for example. 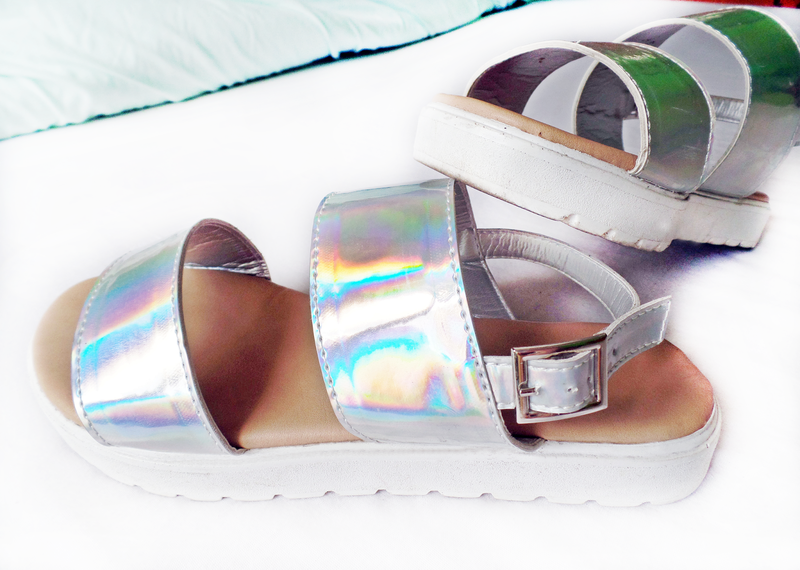 I found this pair on their website if you're interested: New Look Holographic Two Strap Sandal. Love this! 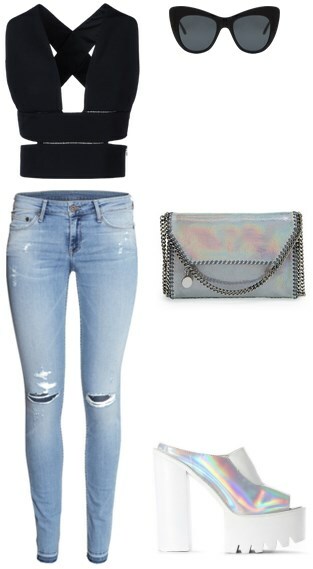 I love the holographic trend, I have a cute pair from F21 and they're so fun to style!